Okay, I have a request. Not sure how possible this is. How about doing something similar for Tales of Two Wastelands. 3) It copies the files from both directories and generates Fallout Tales of Two Wastelands in its own directory. The benefit for the game to run in its own directory is that it could be recognized as a new game by Vortex/Mod Manager and people can then develop mods specifically for the 'new game'. NexusMods could then create its own modding category on the site. 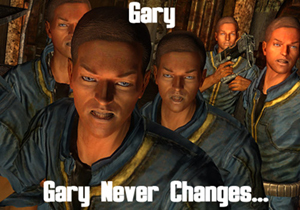 People then can upload mods designed for your project that are guaranteed to work rather than us adjusting New Vegas mods. MO2 already recognizes it as such. We have already spoken to nexus, they are not interested in supporting TTW or letting it be on the site due to past issues with the former incarnation of the mod and direct contact from Bethesda. They have cold feet about it, even thought we bent over backwards to make the process as legal as can be.